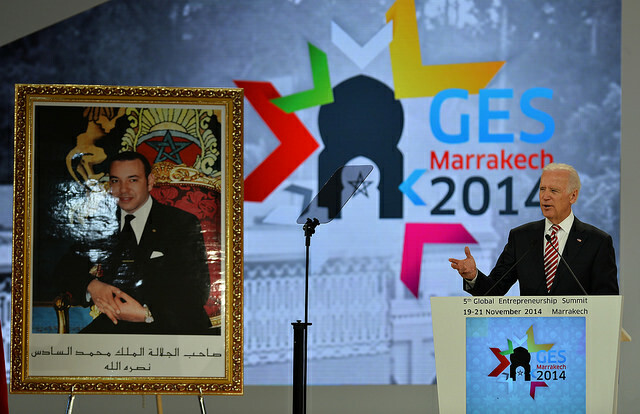 A $50 million US investment in Morocco in 2015 through the Millennium Challenge Corporation to promote public-private partnerships to encourage and support entrepreneurs. The opening of a new vocational school for mechanics in Morocco through UN agency UNIDO, USAID, the OCP Foundation, and Sweden’s Volvo Group. A credit guarantee from USAID in partnership with Spain to help finance a new cold storage facility at Morocco’s Tangier Med Port. The partnership between the US and Swedish automobile manufacturer Volvo will have two components: establishing a training academy for entrepreneurs in Morocco that will prepare students to either fill needed jobs in the market or start their own businesses; and specialized technical training on industrial and commercial equipment maintenance for 150 students a year from Morocco, Ivory Coast, and Senegal. Similarly, the US-Spain financing of a state-of-the-art cold-storage facility at Tangier-Med will support the expansion of Morocco’s agricultural value chain, resulting in growing exports and more jobs. The Summit was the first held in Africa and the first held in a frontier market. It grew out of conversations between President Obama and King Mohammed VI, and was announced during the King’s visit to Washington, DC in late 2013. Morocco’s partnership with the US is emerging as a key component of US strategy in the region, and the Summit is a prime example of the benefits beyond security agreements that can be achieved between these friends.